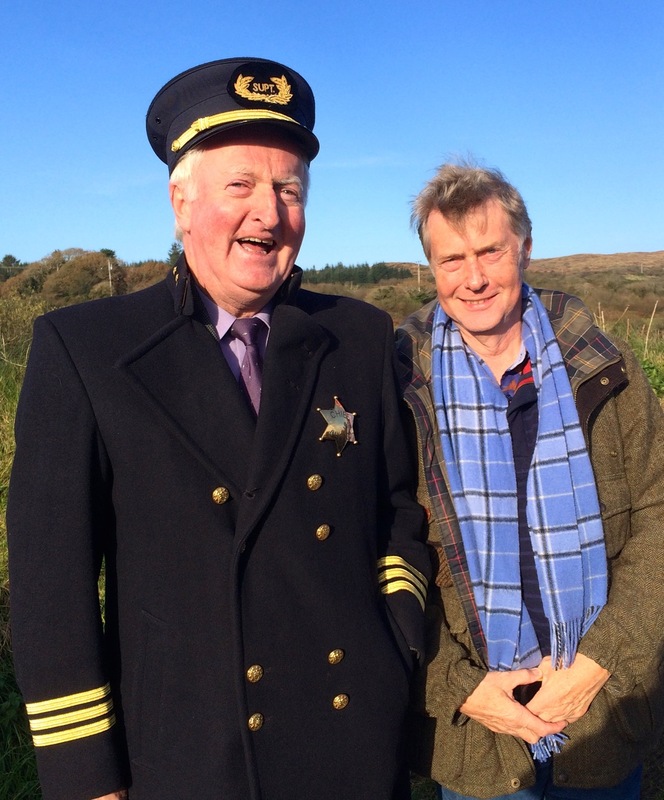 Way back in 2013 I wrote about our chance discovery of the Captain Francis O’Neill Memorial – out in the deep countryside west of Bantry Bay. 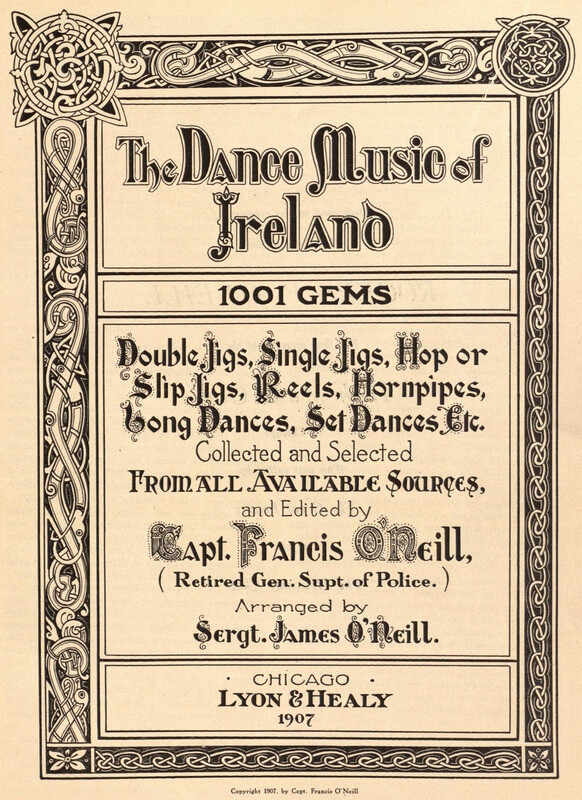 Just to remind you, O’Neill – always referred to locally as The Chief – was a West Cork hero who championed Irish traditional music, and many students of The Music have a copy of ‘1001 Gems: The Dance Music of Ireland’ – O’Neill’s best known collection of tunes, published in 1907. I acquired my copy over thirty years ago and so far I have learned only a fraction! Ireland has a great tradition of honouring its heroes, and ‘The Captain Francis O’Neill Memorial Company’ was set up in 1995 to do just that for The Chief. It was timely, as the 150th anniversary of his death came in the summer of 1998, and the Company was responsible for erecting a plaque at Tralibane Bridge – the place of his birth – and on that day also reviving the ‘pattern dancing’ at the crossroads by the bridge, after an absence of very many years. 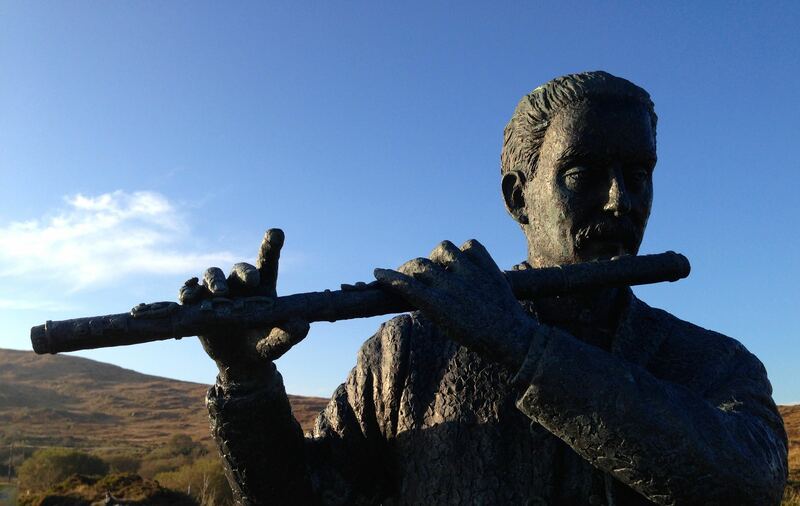 I’d better briefly recap on the man himself… He was born on August 28, 1848 at Tralibane in the Parish of Caheragh – the youngest of seven children. 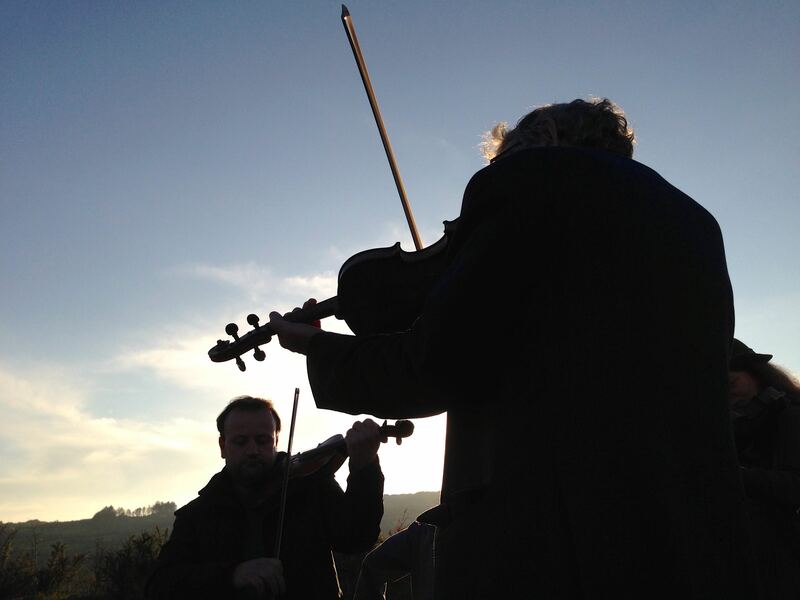 His parents had a very strong background in Irish music, and Francis grew up in a household which was a gathering place for musicians sharing and exchanging tunes, and accompanying the dances. Like so many of his peers he left home at the age of 16, embarking in Cork city on a sailing vessel bound for England and from there found work on other ships which took him around the world. Among his many adventures was a shipwreck while aboard the Minnehaha in the South Pacific. He was rescued by a passing ship which eventually docked in San Francisco, where he decided for the time being to stay on dry land. 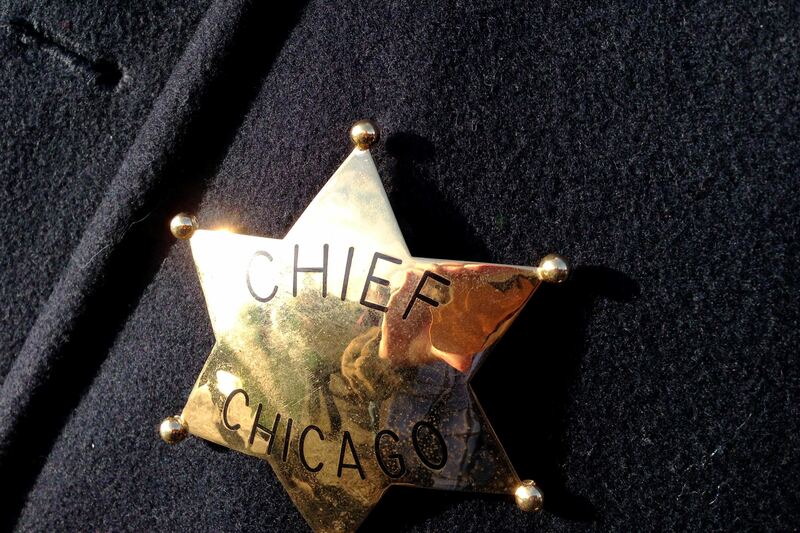 His journeyings took him on to Chicago, where he joined the Police Force in 1873. At that time 40,000 residents of the city were Irish: by 1900 there were over a quarter of a million there: a huge reservoir of Irish music for Francis to garner – something he revelled in. During his first months of service he was shot and seriously wounded in the course of duty. One of the bullets lodged in his spine and could not be removed: he carried it with him for the rest of his long life. 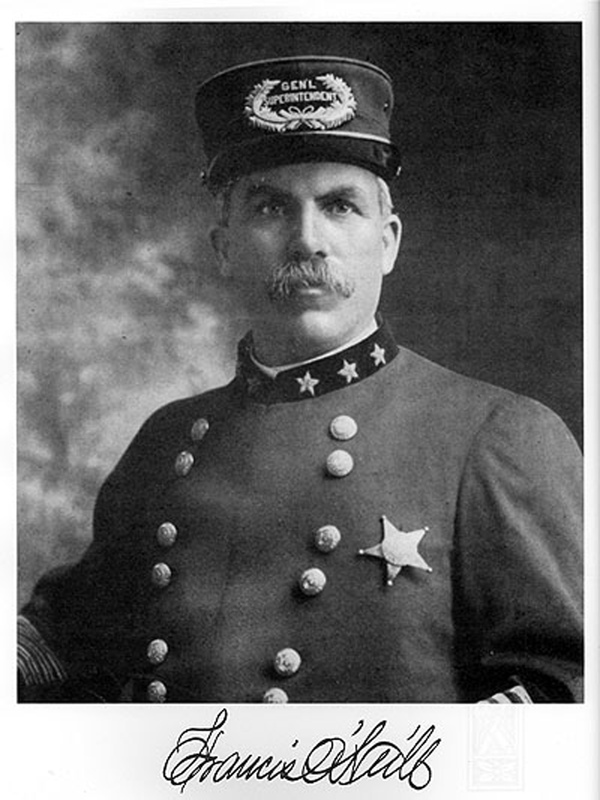 Francis was good at his job: he was promoted to Lieutenant, Captain and, finally, to Chief of the Chicago Police in 1901. He had 3,300 men under his command – the vast majority of them were Irish, and one suspects that many of them were employed by The Chief because of their musical abilities and resources! All through his adult life Francis O’Neill collected and wrote down tunes; he was also an early champion of the phonograph, which helped him in his transcriptions. 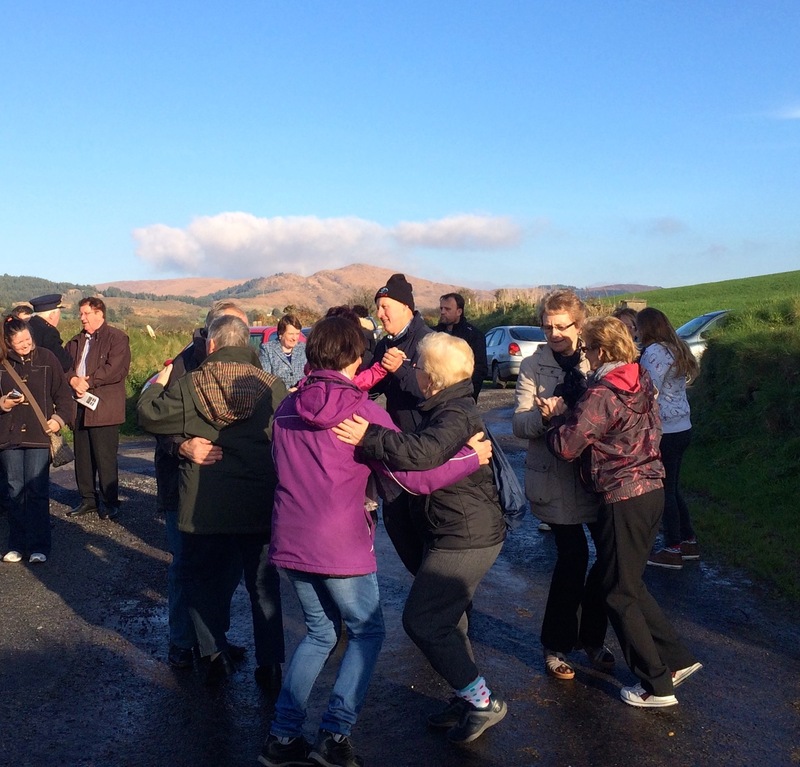 We went out to Tralibane today and – sure enough – enjoyed music and dancing at the crossroads, but we were also entertained by The Chief himself, resurrected by Timmy McCarthy – a descendant and a fund of information. I am indebted to him for the above and for many tales and anecdotes which I don’t have room to include here. He was dressed the part: a Police Chief’s uniform complete with polished badge – and he wielded a truncheon! He walked us from the Bridge (where we had been treated to outdoor music and dancing) to the house where Francis had been born, and then on to the site of the O’Neill Memorial. There was food, drink, tales and more music and dancing. 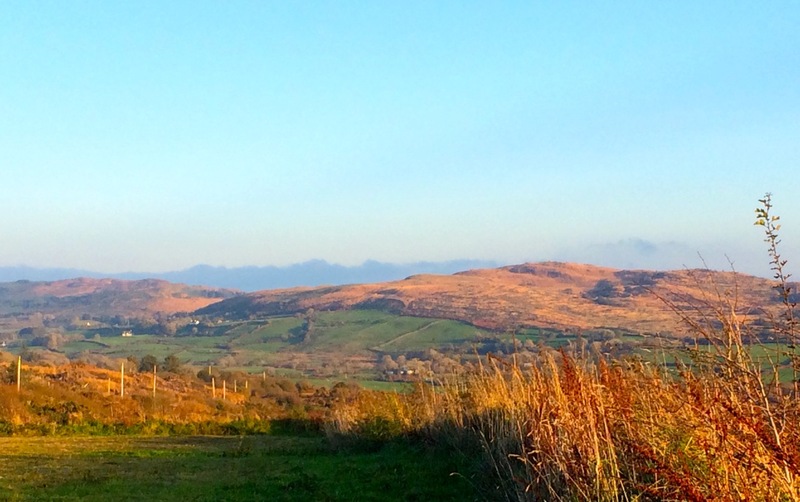 It’s the middle of November, and the sun beamed down on us, lighting up the mountains in the distant view. You must tire of me telling you how beautiful it is here in rural Ireland, but we can never get enough of this wonderful landscape. O’Neill’s tune collections have been published under different titles in his lifetime and ever since. They are considered the most valuable source material for all students. Some say that The Chief ‘saved’ Irish music, but I am inclined to think that it would have survived regardless. It is certainly very much alive today, as our weekly sessions demonstrate – along with the very many festivals which we are fortunate enough to have right on our door step. Francis and his wife Ann had ten children, but sadly five died young. After an active retirement which was filled with fishing, pottery and photography as well as The Music, the Chief died of heart failure at his Chicago home: he was 87. This entry was posted in Roaringwater Bay, Traditional Music, Tralibane, West Cork, West Cork Blog and tagged 1001 Gems, Caheragh, Captain Francis O'Neill, Chicago Chief of Police, Collecting Irish Music, Dancing at the Crossroads, O'Neill, O'Neill Memorial, O'Neill's Irish Music, Pattern Dancing, The Captain Francis O'Neill Memorial Company, The Chief, Timmy McCarthy, Tralibane, Tralibane Memorial. Bookmark the permalink. Timmy McCarthy looks in fine form and what a great day for it. I can almost hear the music and see the dancing! And I never get tired of hearing about the beauty of Ireland. Love your entries! 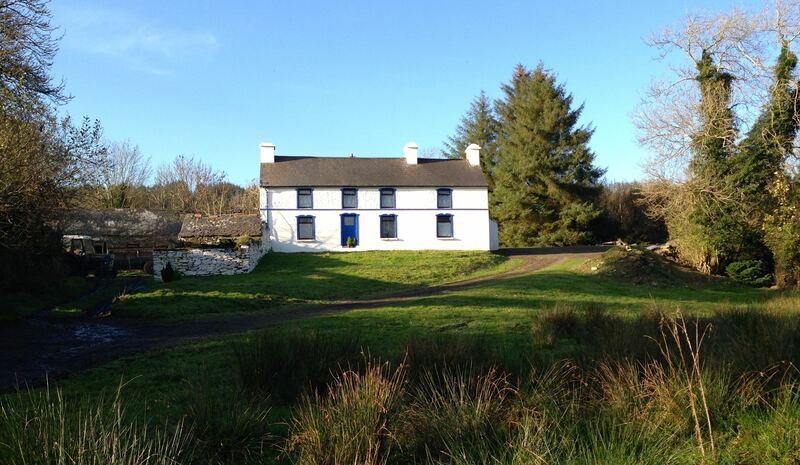 Tralibane…home to my great Uncle Eugie & Aunt Hannah Hourihane!